An appendectomy is the surgical removal of the appendix. It’s a common emergency surgery that’s performed to treat appendicitis, an inflammatory condition of the appendix. 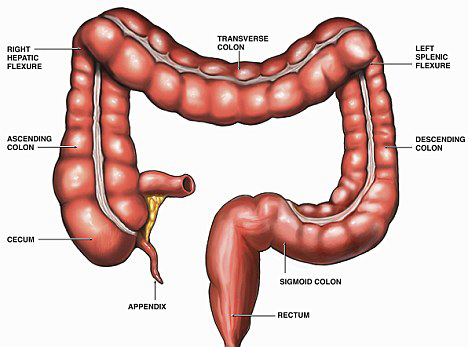 The appendix is a small, tube-shaped pouch attached to your large intestine. It’s located in the lower right side of your abdomen. The exact purpose of the appendix isn’t known. However, it’s believed that it may help us recover from diarrhea, inflammation, and infections of the small and large intestines. These may sound like important functions, but the body can still function properly without an appendix. When the appendix becomes inflamed and swollen, bacteria can quickly multiply inside the organ and lead to the formation of pus. This buildup of bacteria and pus can cause pain around the belly button that spreads to the lower right section of the abdomen. Walking or coughing can make the pain worse. You may also experience nausea, vomiting, and diarrhea. It’s important to seek treatment right away if you’re having symptoms of appendicitis. When the condition goes untreated, the appendix can burst (perforated appendix) and release bacteria and other harmful substances into the abdominal cavity. This can be life-threatening, and will lead to a longer hospital stay. Appendectomy is the standard treatment for appendicitis. It’s crucial to remove the appendix right away, before the appendix can rupture. Once an appendectomy is performed, most people recover quickly and without complications.